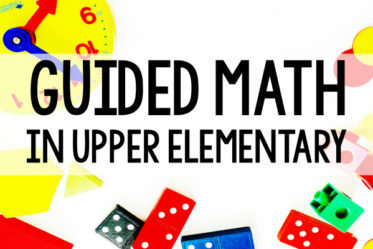 Do you ever want something a bit different from the normal math fact or number sense practice? 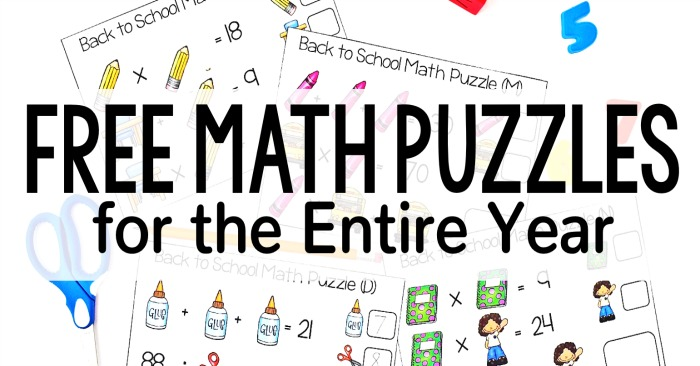 These fun math puzzles are just what you need! 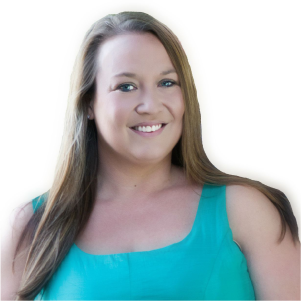 On this post, I will be giving you all the details about how you can get ten (yes, TEN!) 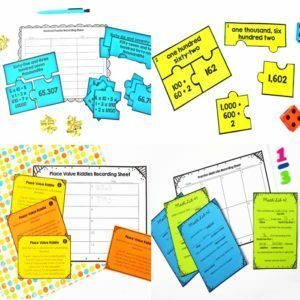 sets of math puzzles to use with your students all year! To solve the problems, the students use their knowledge of multiplication, division, addition, and subtraction. Each set varies but you will find a little of each operation (and a lot of multiplication) in each set. As you can see from the bottom left example in the picture above, the students would determine that the glue image is equal to 7 because 7 + 7 + 7 = 21. Then they would use division to determine that scissors is 8 because 88 divided by 8 is equal to 11. Finally, they would use the value of the glue and the value of the scissors to solve the final equation (7 x 8 + 8 = 64). 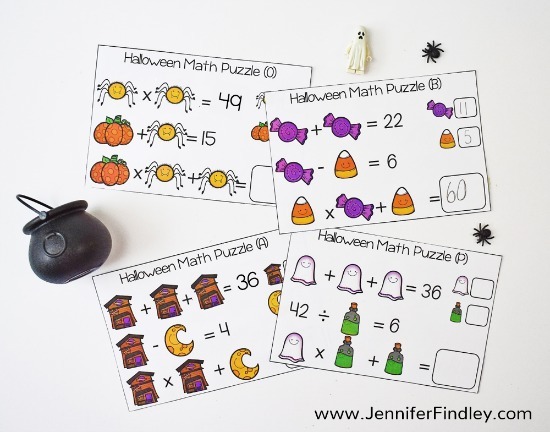 The puzzles help build number sense as students use their knowledge of the operations to determine the value of the images and solve the problems. 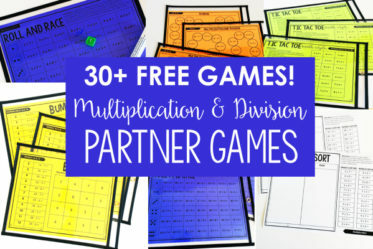 They help students practice multiplication and division math facts. They are engaging and the students love them. 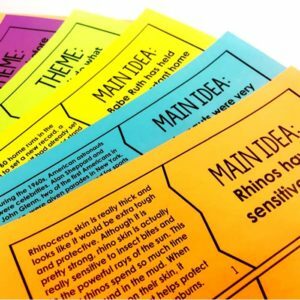 They are a great way to get students to prove and defend their answers in a nonthreatening way. Project one a puzzle a day as a math warm up or even a number talk. Use the math puzzles in a math center. 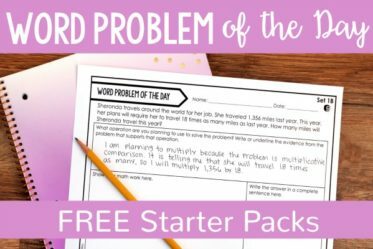 This would be the perfect alternative to flashcards for math facts mastery. Use as “Fun” homework. These are only available in color but could easily be printed in black and white and sent home with the students. Use as a “Soft Start Morning Work” option. 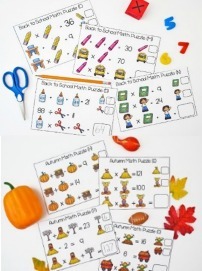 If you use soft starts, you can have these puzzles be an option or choice for the students. Which Math Puzzles Are Included? 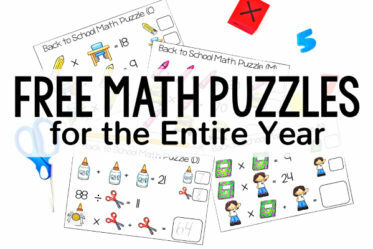 How Can I Get the Math Puzzles for FREE? Success! 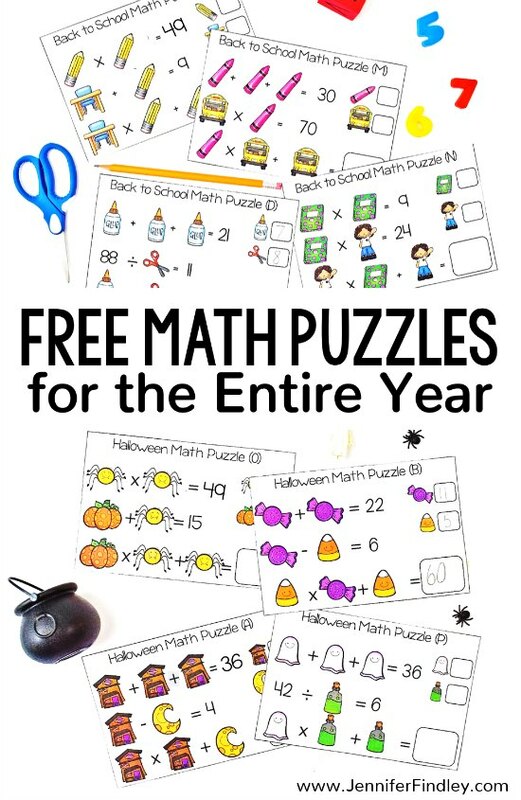 Now check your email to grab your free puzzles! 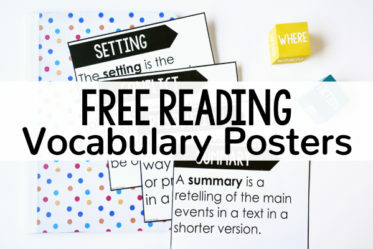 Click on the links below to see round up posts of my favorite resources, activities, and freebies. 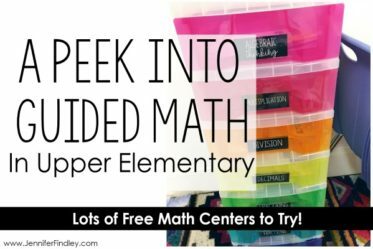 Want More Math Center Freebies? 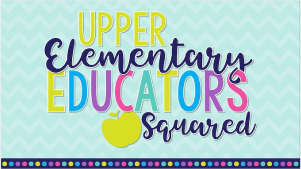 Click here to see my favorite math centers and download free samples for 3rd, 4th, and 5th grade. What do you think about these math puzzles? 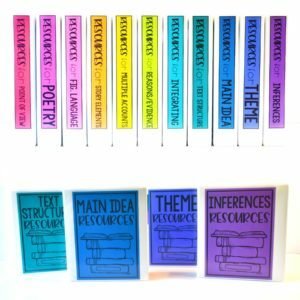 Do you think this is something your student will enjoy? Let me know in the comments! 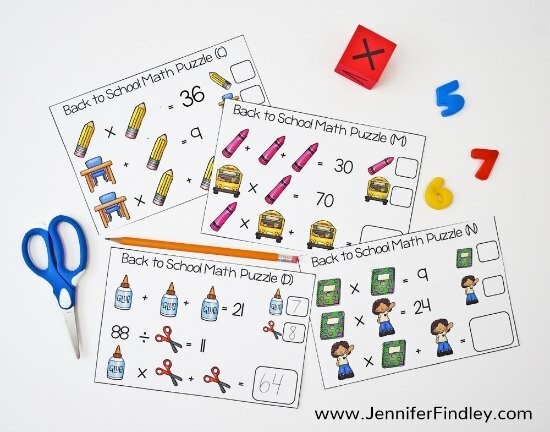 Jennifer, my students were always excited when I would bring out the math puzzles you did this past school year! Thank you this whole year set ? These are amazing!! So excited to use them this year! Thank you! !